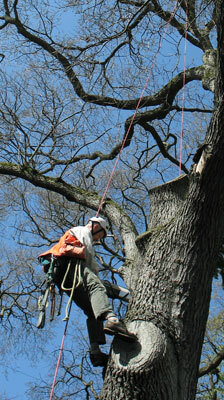 Health / Risk Assessment - Tree Solutions Inc. Unlike most consulting arborists, we have four climbing consultants who are able to climb trees to complete aerial assessments. We use state-of-the-art evaluation tools, including a micro-resistance drill and tomograph, to assess trees. Our approach is intended to save valuable trees and identify those that are of concern for potential risk. We provide detailed custom management plans for each evaluated tree, with instructions for pruning or removal to reduce risk, diagnosis and treatment recommendations to improve health, and general tree care instructions. Our ISA Qualified Tree Risk Assessors use the current tree risk assessment method and are qualified to file applications for removal permits with municipalities throughout the Puget Sound Region. We also work closely with plant pathologists and testing labs, which enables us to make science-based and accurate assessments and develop effective treatment plans.